Ergobaby Natural Curve Nursing Pillow is a life-saving accessory for many breastfeeding mamas around the globe who struggle with aching arms, backs and necks during those most precious moments of skin to skin contact with their bubba. This very clever pillow would be an excellent gift and wraps around your waist to provide an armrest and baby support during breakfast, lunch and dinner time for your tiniest of acorns. Why should I buy the Ergobaby Natural Curve Nursing Pillow? 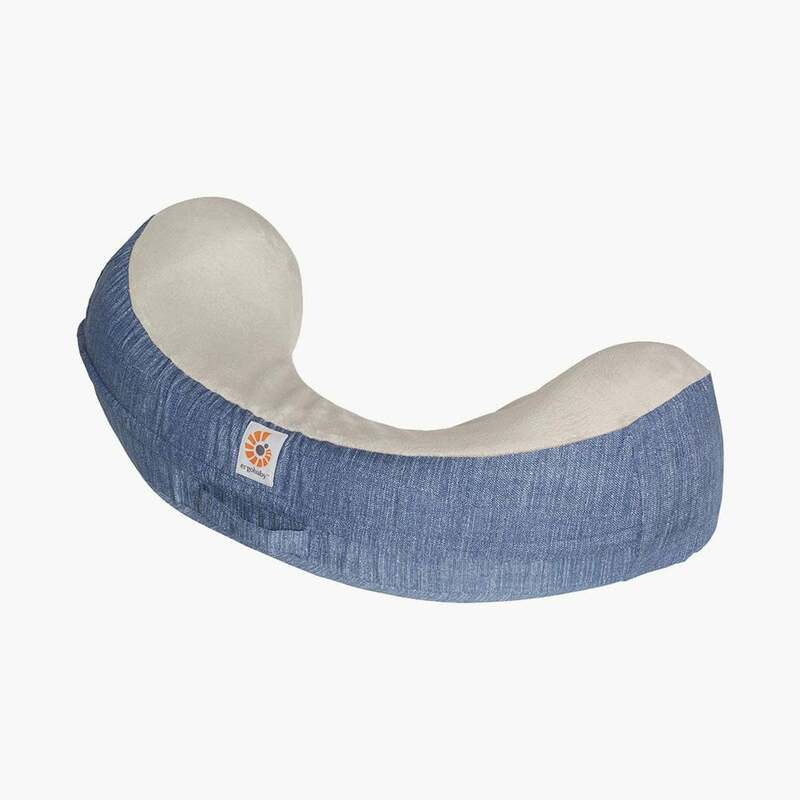 The Ergobaby Natural Curve Nursing Pillow aids comfortable breastfeeding and supports your baby’s head in a natural position in which to nurse easily. It places your baby at the perfect height, tummy-to-tummy, to prevent back pain from slouching and addresses the main concerns of nursing mothers: Comfort, Back Pain, and Arm Support. The firm foam maintains its shape for continued contour support however long you choose to breastfeed your child. The Ergobaby Natural Curve Nursing pillow is ergonomically structured and developed in consultation with lactation experts and nursing mummies. The Ergobaby Natural Curve Nursing Pillow comes with one cover which is removable and machine washable. Its interior lining offers extra protection against any accidental milk spillages and the cover is lovely and padded, creating a super-soft cloud-like surface for your angel to lie upon during her feeding time. No matter which position is adopted to breastfeed your little one, the Ergobaby Natural Curve Nursing Pillow helps mum bond with her baby which may encourage a healthy latching-on position. If you are ready to move on and choose to bottle feed your child, the Ergobaby Natural Curve Nursing Pillow can still be used by whoever is doing the feeding. It can also be used for tummy time support as your tiddler continues to grow and explore in his new environment. Who is the Ergobaby Natural Curve Nursing Pillow suitable for? The Ergobaby Natural Curve Nursing Pillow is the perfect companion for nursing, bottle feeding and tummy time. It offers additional support, makes life easy and is a back saver. Do I get a warranty with the Ergobaby Natural Curve Nursing Pillow? Yes. Ergobaby offer a 1 year Manufacturers Warranty from the initial date of purchase. Valid in the UK mainland only. What are the specifications of the Ergobaby Natural Curve Nursing Pillow?